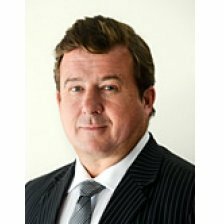 Mr Dickson has a proven track record of success spanning in excess of 25 years through a blend of taking innovative and creative concepts and moulding them into sustainable and highly valued assets. He has held multifunctional senior roles across the complete spectrum of disciplines including finance, logistics, operations, sales, marketing, business development, product development through to launch, systems and general management. Mr Dickson has a proven track record both in Australia and overseas having lived in Asia for more than six years while delivering results in a sophisticated multicultural business community. Mr Dickson is a visionary who has successfully taken an embryonic vision and nurtured it from a start-up business into a thriving and profitable going concern in a market dominated by strong global competitors. His leadership has displayed the ability to take complex challenges and break these into driven objectives while having a keen awareness of the need for risk mitigation for key stakeholders. Delivering financial results while honouring the community needs has been learned from experience across a broad field of global operating environments. Mr Dickson formal qualifications include a Bachelor of Commerce in Accounting and Finance from the University of NSW and holds a Master of Transport Management from Sydney University. Creating A Cleaner Planet by Utilizing ICO’s and Technology to Assist Third World Countries! Keynote – Creating A Cleaner Planet-A Bridge to the Circular Economy!